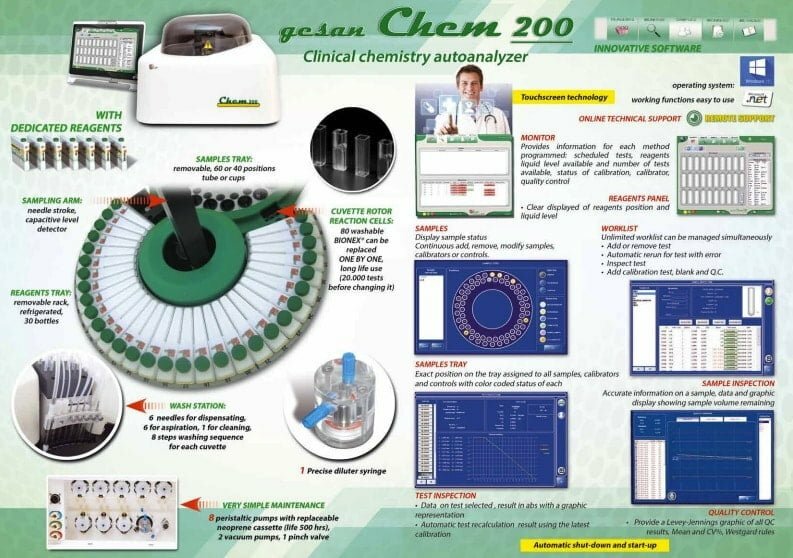 Gesan Chem 200 was designed using the latest technology in the field of clinical chemistry analysis. Although small and compact, this device operates via the most up-to-date software and includes many features standard only to larger analyzing systems. 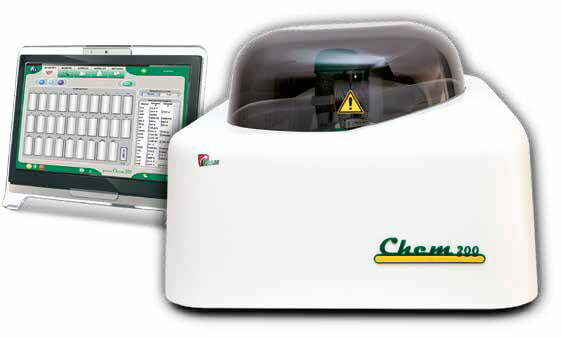 This includes a simple, touch screen operation as well as 30 reagent and 60 sample positions or optional 40 positions. Further, this unit can complete as many as 200 analysis in one hour. Additionally, barcodes can be read easily and tubes washed and cleaned in just eight steps. With this device you can also cool reagents.